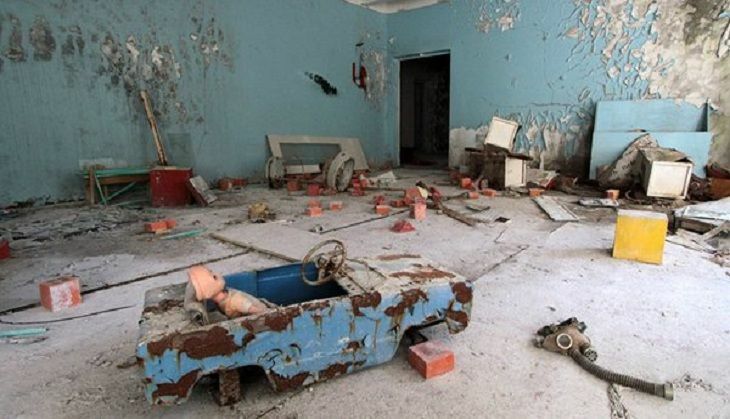 A series of events are scheduled to be held in Ukraine on 26 April, to commemorate the tragedy that unfolded at Chernobyl. This year marks the 30th anniversary of a disaster that remains the worst nuclear accident in history. Ukraine's President Petro Poroshenko is due to attend a ceremony near the site and a church service will be held in Kiev for the families of victims, reports Guardian. Some former residents returned to the area, now derelict and overgrown, ahead of the anniversary. In the early hours of 26 April 1986, a botched test at the nuclear plant in then Soviet-Ukraine triggered a meltdown that spewed deadly clouds of atomic material into the atmosphere, forcing thousands of people to flee their homes. Sirens were sounded at the same moment as the first explosion at the reactor, on 26 April 1986. The anniversary comes during the final stages of the completion of a giant 1.5 billion euros steel-clad arch that will enclose the stricken reactor site and prevent further leaks for the next 100 years. The project was funded by donations from more than 40 governments. Ukrainian Prime Minister Volodymyr Groysman said lessons learned from Chernobyl should be heeded all over the world. The disaster and the government's reaction highlighted the flaws of the Soviet system with its unaccountable bureaucrats and entrenched culture of secrecy as the evacuation order only came 36 hours after the accident. Former Soviet leader Mikhail Gorbachev has said he considers Chernobyl one of the main nails in the coffin of the Soviet Union. The meltdown at the plant remains the worst nuclear disaster in history.